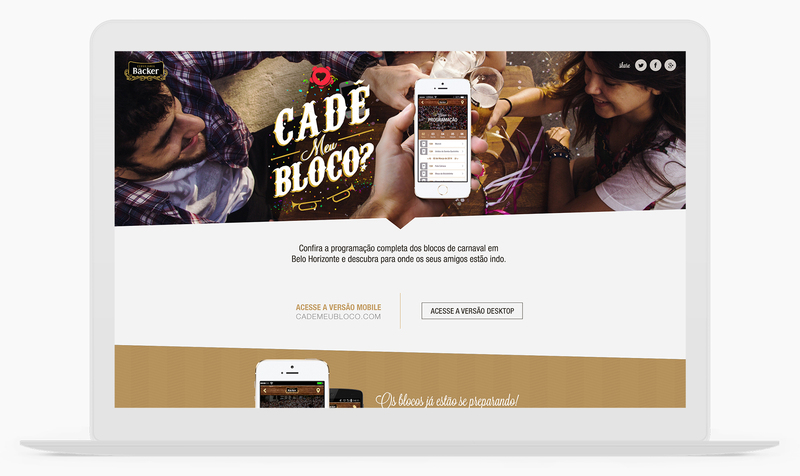 Presented by Backer, a beer company from Brazil, “Cadê Meu Bloco” is an app that gathers information about Carnival related events, displaying the location for the user in a map. 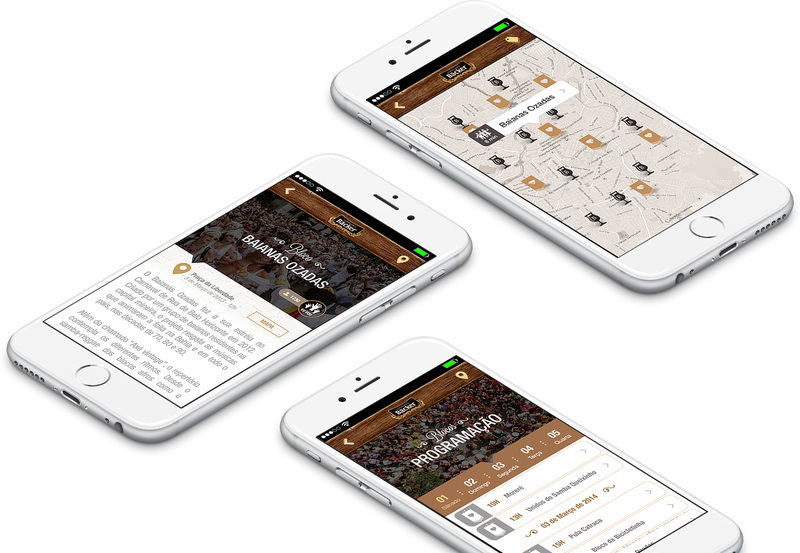 The app has also the nearest places to buy Backer beer, this way people could follow the carnival blocks, read about their history, and search for where to find a tasty beer. 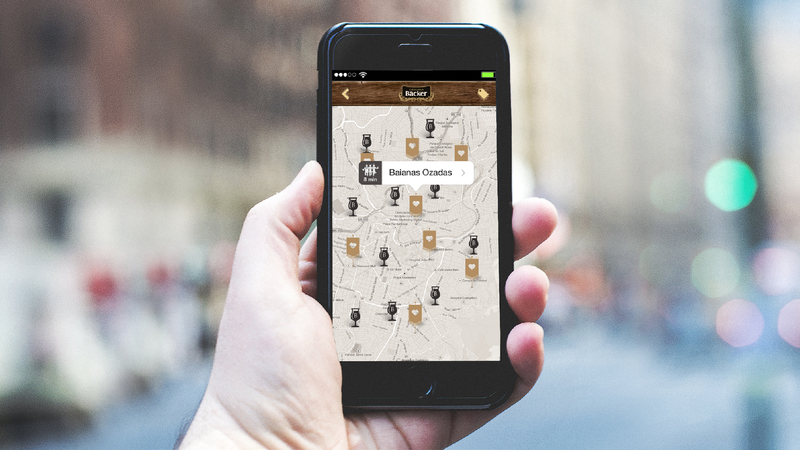 Backer is an artesanal local brewery located in the heart of Belo Horizonte. Since they don't have many resellers in town we made it easier for people to find the beer they love and keep the party going during carnival. That year we were expecting a lot of tourists to come and celebrate the carnival in Belo Horizonte. 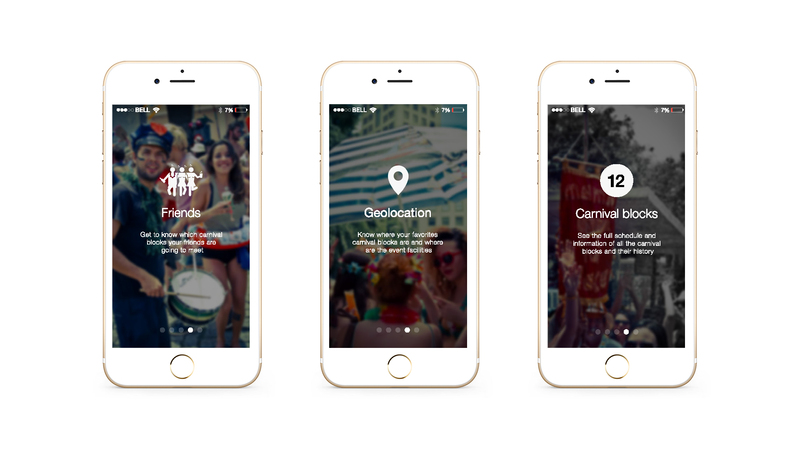 Therefore it was important to show the users where to find the carnival blocks and where to buy Backer from the nearest reseller.